Problem with your brakes? ask a question and get answers from our qualified and experienced mechanics - completely free. Search for brakes Parts Search for brakes Parts Search for brakes Parts Search for brakes Parts Search for brakes Parts Search. If you need a new brakes why not make a request from a list of suppliers, both breakers yards and suppliers for Car Parts. Get help from our online diagrams - all the information you need to fix and replace your faulty brakes. Get help from our online workshop manuals here - all the information you need to fix and replace your faulty brakes. When you think about the life and purpose of a car´s brakes, you´ll see just what stresses they have to go through; they need to be able to work in all weathers ñ sunshine, rain and snow, they got hot enough to burn you, and yet need to be able to cool down without warping or cracking, and depending on the type of car, they need to stop you from high-speeds, or an enormous amount of weight, all without problem, day-in, day-out, every day of the year. 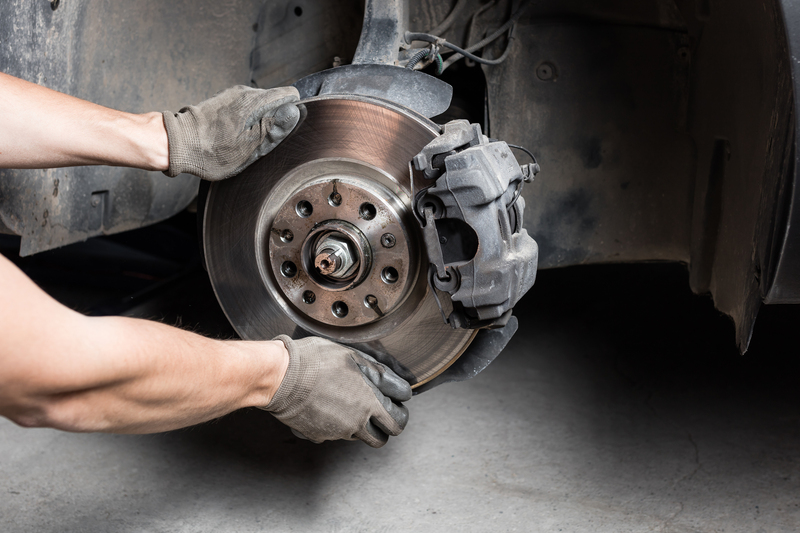 For many, the thought of having to replace their brakes occasionally is annoying ñ just another expense of running a car, but quite literally, their lives depend on them, so they really should try and keep them in A1 condition, regardless of cost or inconvenience. We understand that a number of people do their own maintenance, or would like to attempt some of the easier things ñ perhaps changing the air filter, maybe the oil & filter, but when it comes to brakes, you should really only attempt the job if you´re competent ñ a brake failure is perhaps one of the most dangerous situations to find yourself in when behind the wheel of car travelling at 30+ mph. Your brakes are an essential part of your vehicle (and safety), they are inspected as part of your routine/manufacturer specified maintenance schedule, so in theory, you should never come across problems with them, however, not everyone sticks to a scheduled maintenance program, and some people only get their car serviced looked at when there´s a problem. Most modern brake pads are fitted with a wear indicator, this could be in the form of an electronic sensor that lights up on your dash, or an audible noise ñ essentially a piece of metal designed to come in to contact with the brake disc and make a squealing noise when the brake pad is reaching its wear limit. The theory is that you should never have to physically inspect the pad, but that falls down if A) your pad doesn´t use any wear indicators (not all do) and B) your braking system is already in poor condition with corroded or worn discs for example. There is no replacement for visual inspection. 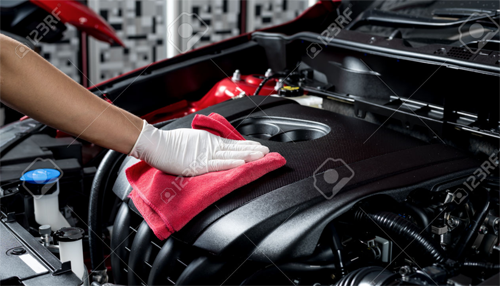 Let´s put aside the scheduled servicing for a moment, and work on the fact that your car has never really seen the inside of a garage or dealership, or that you literally just put fuel in it and forget about everything else. What are some problems to look out for? If your brake pedal feels soft and ëspongy´ rather than firm, it could be that you´ve got air in the system, or that the fluid has taken on moisture from the atmosphere, in what they call a hygroscopic effect. Whether it´s air or moisture, the cure is pretty much the same (providing that you´re not losing brake fluid) ñ bleeding your brakes with fresh fluid. This has to be done in a certain way, usually starting at the wheel furthest away from the fluid reservoir, although some cars also stipulate further processes, mainly due to the ABS systems fitted. If you´re unsure, you need to take professional advice. Of course, the most common problem you should find is wear ñ the material on the brake pad is designed to wear down through use, so a particularly heavy braker or the use of some aftermarket pads can lead to premature wear. Again, vehicle type plays a part, although the manufacturer usually accounts for weight etc when designing the braking system, meaning the material is generally harder-wearing, and fitted across a bigger surface area. With that said, we´ve known some drivers go right through the friction material and continue to brake with the steel backing, it only really being noticed at an MOT or when the brakes finally fail, catastrophically. Older, less maintained vehicles are likely to need brake discs as well as pads, although don´t make the assumption that just because you´re changing the pads, you need to change your discs, that is most definitely not the case. Discs (also called rotors) also wear out, and all manufacturers have a minimum thickness, but the usual case is that the pads have been fitted badly, leaving the braking surface scored or unevenly worn, and it´s in the extreme cases that you´ll need new discs as well. The final thing to be aware of is overheating. This tends to occur either through extremely heavy use, or if the brake caliper or pad is seized, leading to constant contact between the two. This is bad for a number of reasons ñ it can lead to the brake fluid boiling, meaning that braking pressure is reduced significantly, it´s also entirely possible that you could wear a pad/disc within a very short space of time ñ less than a week of regular driving, and of course, it could actually be a fire hazard. An overheating brake is usually spotted quite easily ñ you´ll notice smoke coming from the affected wheel, and there will be an acrid smell of burning. Get it sorted. Any problems with your brakes need sorting sooner rather than later. If the worst should happen and you´re involved in an accident, there is a good likelihood that your insurance won´t pay out, leaving you to cover the cost of any damage or liability. Added to that, the chances of being prosecuted for dangerous driving or driving an unfit car are high ñ points on your license, fines and a court appearance if you´re not careful. Keep an eye on your brakes, even if it´s just a quick visual inspection of the discs ñ that will give you some indication as to whether they´re OK or not. When you think about the life and purpose of a car´s brakes, you´ll see just what stresses they have to go through; they need to be able to work in all weathers sunshine, rain, and snow, they got hot enough to burn you, and yet need to be able to cool down without warping or cracking, and depending on the type of car, they need to stop you from high-speeds, or an enormous amount of weight, all without problem, day-in, day-out, every day of the year. For many, the thought of having to replace their brakes occasionally is annoying just another expense of running a car, but quite literally, their lives depend on them, so they really should try and keep them in A1 condition, regardless of cost or inconvenience. We understand that a number of people do their own maintenance, or would like to attempt some of the easier things perhaps changing the air filter, maybe the oil & filter, but when it comes to brakes, you should really only attempt the job if you´re competent a brake failure is perhaps one of the most dangerous situations to find yourself in when behind the wheel of the car traveling at 30+ mph. Your brakes are an essential part of your vehicle (and safety), they are inspected as part of your routine/manufacturer specified maintenance schedule, so in theory, you should never come across problems with them, however, not everyone sticks to a scheduled maintenance program and some people only get their car serviced/looked at when there´s a problem. Most modern brake pads are fitted with a wear indicator, this could be in the form of an electronic a sensor that lights up on your dash, or an audible noise essentially a piece of metal designed to come in to contact with the brake disc and make a squealing noise when the brake pad is reaching its wear limit. If your brake pedal feels soft and ’«spongy´ rather than firm, it could be that you´ve got air in the system, or that the fluid has taken on moisture from the atmosphere, in what they call a hygroscopic effect. Whether it´s air or moisture, the cure is pretty much the same (providing that you´re not losing brake fluid) bleeding your brakes with fresh fluid. Of course, the most common problem you should find is wear the material on the brake pad is designed to wear down through use, so a particularly heavy breaker or the use of some aftermarket pads can lead to premature wear. Again, vehicle type plays a part, although the manufacturer usually accounts for weight etc when designing the braking system, meaning the material is generally harder-wearing, and fitted across a bigger surface area. The final thing to be aware of is overheating. This tends to occur either through extremely heavy use, or if the brake caliper or pad is seized, leading to constant contact between the two. This is bad for a number of reasons it can lead to the brake fluid boiling, meaning that braking pressure is reduced significantly, it´s also entirely possible that you could wear a pad/disc within a very short space of time less than a week of regular driving, and of course, it could actually be a fire hazard. An overheating brake is usually spotted quite easily you´ll notice smoke coming from the affected wheel and there will be an acrid smell of burning. Get it sorted. Any problems with your brakes need sorting sooner rather than later. If the worst should happen and you´re involved in an accident, there is a good likelihood that your insurance won´t payout, leaving you to cover the cost of any damage or liability. Added to that, the chances of being prosecuted for dangerous driving or driving an unfit car are high points on your license, fines and a court appearance if you´re not careful. Keep an eye on your brakes, even if it´s just a quick visual inspection of the discs that will give you some indication as to whether they´re OK or not.